What Happens When an Executor Resigns From an Estate? Serving as an estate executor is never a compulsory duty; the executor always has the right to resign, no matter what the reason. In fact, executor resignations are a common part of estate administration and the probate process. 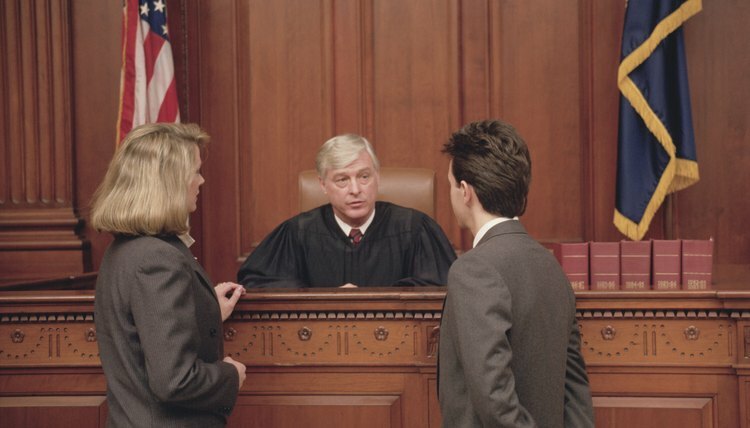 When this occurs, the presiding judge simply works with the estate to appoint a new executor. The executor is the individual who guides an estate through the probate process. The presence of an executor is, therefore, critical to proper probate administration. Accordingly, the probate judge assigned to the estate will need to replace the executor as soon as possible after the resignation. The easiest path is when the will instructs the probate judge as to the person who should act as the successor executor. However, not all wills identify a successor executor, which makes the appointment task a bit more burdensome for the probate judge. Most state probate codes or statutes identify a pyramid of priority that a probate judge should refer to when appointing a replacement executor. In most states, the first choice is a person identified in the will, followed by the surviving spouse, a surviving child, a surviving parent or sibling and, finally, an heir of the estate. The standard appointment procedure in most states is for the clerk of the probate court to send a notice of hearing to all family members of the deceased and heirs of the estate. Those family members and heirs will then have a chance to participate in a hearing before the probate judge where any interested party can present arguments to the judge as to why a certain individual should or should not receive the appointment. The judge will then make a final decision in the form of a written order of appointment. The practical effect of an executor resigning is that the probate process is put on hold while the judge finds a successor executor. No probate activities take place between the time of resignation and the time of appointment of a successor. Further delay occurs because the successor executor, after being finally appointed, must take time to review the former executor's files, correct any mistakes and pick up the baton to continue the race to the finish line. The probate process is designed to determine the disposition of property left behind when someone dies. The local probate court oversees the probate process, and an executor handles day-to-day administration of the probate estate. If the decedent left a valid will, the probate court generally respects the terms of the will. If not, state law will determine the distribution of assets. The word "probate" describes the legal process by which a will is found to be valid or invalid, as well as the process by which the will is executed. A petition to probate a will is typically filed with the court along with the will so that the executor may be given the formal power to carry out the directions listed in the will. Who Is Designated to Carry Out the Terms of a Will?